The International Hot Rod Association (IHRA) Summit SuperSeries, the country’s most prestigious grassroots bracket racing program, returns for an 18th straight year in 2019 with the addition of a new Sportsman class. The popular $200,000 program is where each season more than 8,000 racers compete to become IHRA Summit SuperSeries World Champions. 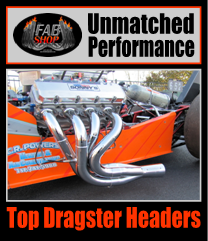 Summit Racing Equipment, the official mail order company of IHRA, sponsors this program at nearly 100 IHRA-sanctioned member tracks. Top (Box) and Mod (No Box) champions earn prize packages that include $20,000-to-win, an eight-day/seven-night dream vacation courtesy of Around Aruba Tours and a new custom golf cart from Dart’s Carts. 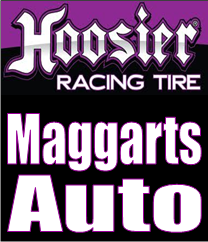 The new Sportsman class champion will win $5,000, while the Junior Dragster champion will receive $3,000 and a turn-key junior dragster featuring a unique paint scheme by Imagine That Customs. All IHRA World Champions win an IHRA Ironman Trophy, World Championship Diamond Ring and an IHRA Gold Card. 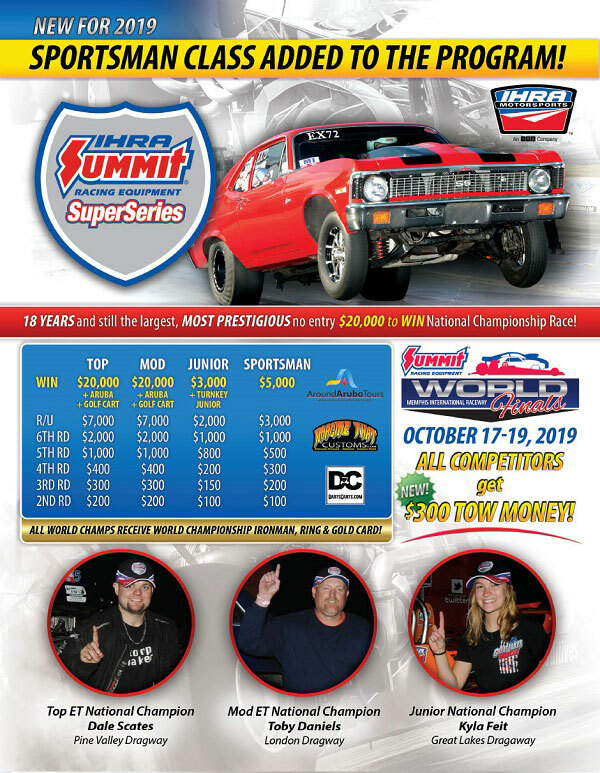 IHRA Summit SuperSeries track champions, in Top, Mod, Junior, and Sportsman divisions, along with qualified Summit Team Finals champions from each IHRA region, are invited to compete in the IHRA Summit World Finals in Memphis, Tenn., Oct. 17-19, 2019. New for 2019, all competitors who participate in the IHRA Summit World Finals will receive $300 in tow money.